For use with: Swiftpage (was Sage) ACT! About the User: This project was commissioned by a client who manages several regional member-only nightclubs. Project Brief: To help manage nightclub door entry by scanning the customer’s membership card and returning information from ACT! 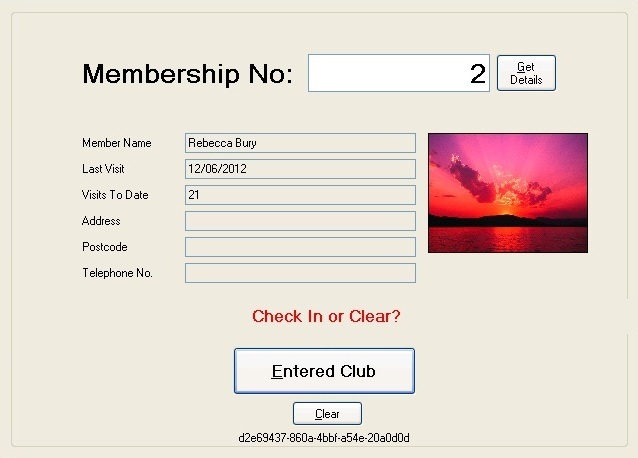 to ensure that their membership is current and that their photo ID matches. Scanning the number from the member’s membership card. Returning membership status, last visited date, number of visits (for promotions) and photo from ACT! Recording check-in dates and times. Relevant member details returned very quickly to an easy-to-use interface for the door person – almost instant as compared to searching through ACT! Reduced ACT! licensing implications and training requirements via bespoke interface instead. Ability to easily see attendance and offer timely and relevant targeted promotions based on the number of visits.